Urine The Clear Review - Real(ly) Better Than Synthetic? Urine The Clear Review – Real(ly) Better Than Synthetic? Urine The Clear is an interesting product in the urine substitution market simply because they have opted to actually sell real human urine from paid donors, as opposed to create synthetic urine. It’s a cool selling point in an industry when a very common question asked is whether fake pee works or not to pass a piss test. They take that question out of the equation by offering legit urine instead. They test this urine themselves to make sure it’s clean before they sell it to customers. Smart, yet simple. That should mean it will pass a drug test, right? 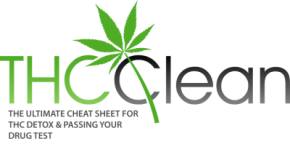 Urine The Clear Review, Will It Work To Pass Your Drug Test? Yes, it will as long as you get everything else right (temperature, hiding it and what not), since it is real, clean human urine. It’s no different from if you were to use the piss from a clean friend of yours or your girlfriend’s. Urine The Clear Vs Synthetic Urine – Better? So is Urine The Clear to prefer over synthetic pee then? Not necessarily. As for passing a urine lab test, which is where real pee may seem advantageous, they are actually on pretty much equal terms, as long as you are using a top quality synthetic urine (such as Sub Solution or Purine). This goes back to the fact that synthetic urine is what they actually use themselves in the labs to calibrate their equipment, so if anything, a good fake urine sample will have an edge over real clean pee in that there’s no risk it will be too diluted and also has a much longer shelf life. If you also factor in superior heating methods, as with Sub Solution mentioned above for example, you’re suddenly looking at arguably better chances to pass compared to real pee, since that greatly diminishes the amount of people failing with their temperature. I’ve always had the possibility of obtaining clean pee of one of many friends to pass my tests, but the value of certain fake pee products when it comes to lessening risks simply out-weigh those of real urine. Hence, Sub Solution remains the best product for urine substitution in my book. But if Urine The Clear is all you can get your hands on, then by all means, you can use that as well and have a pretty good chance of passing your urine test. 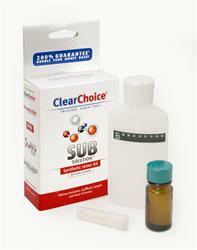 Sub Solution is better, but Urine The Clear is definitely approved for the lab part of the test.